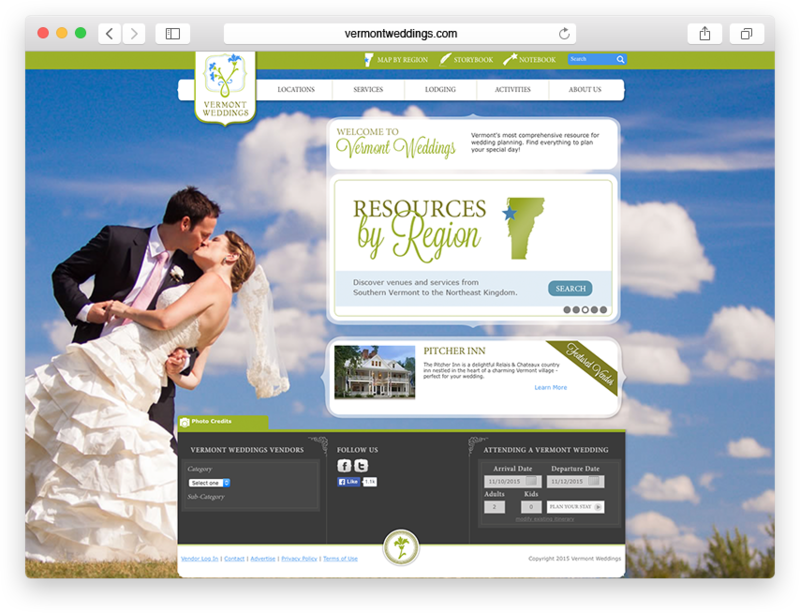 Recently we were asked to retrofit the website for a Vermont bed & breakfast. This lodging establishment uploads their room inventory supply to Inntopia for use in their local chamber and ski area websites, but they do not use Inntopia’s Internet Booking Engine on their own site. They send their inventory data to AvailabilityOnline.com (AO) as well and present the AO calendar to their web visitors. In the few months since any of us here have logged into AvailabilityOnline.com to manage a client’s setup, a lot has changed: they announced their new “Enhanced Reservation System Released” on February 29, 2012. Rather than review all the changes, we will go through the steps we figured out to successfully setup, modify and use the new AvailabilityOnline.com system in your web site for online availability and reservation requests, as well as proper integration of Google Analytics cross-domain tracking. This post is meant to give a technical user quick reference to getting started on the path to better calendar and reservations management for clients that use AvailabilityOnline.com. There are many features/menus in AO that are not detailed here. If you have any questions, please contact VickeryHill.com. This first revision assumes that you have been using AO on your website prior to the Feb 29, 2012 update and the myriad of other settings on AO are already configured. These enhancements allow you to input rates on all rooms across multiple dates, as well as input base guests, maximum guests and minimum stay requirements on rooms against specific dates. To activate the new enhancements, you first need to prepare. If you update your inventory automatically from your property management system, make sure that you have uploaded the latest inventory before beginning. To use the enhanced features, you will need to remove the ability of the guest to choose Room Choice 1 and Room Choice 2. Because the system now ties rates to rooms AND the reservation request to the availability of that room, the reservation request form will calculate the room rate against the date. Following the setup of the enhanced features above, you can now implement some of the new features. Under Occupancy Fee: Amount to charge per night for under-base occupancy. Default Rates (by day): these are the default rates that will populate in the default calendar setup for each room, by day. Default Minimum Night Stays: The default minimums you setup for each room, by day of the week. As you can see from the screenshot below, there are handy help floating content if you mouse over the blue quesiton mark. Don’t forget to click the Save button to save your changes! 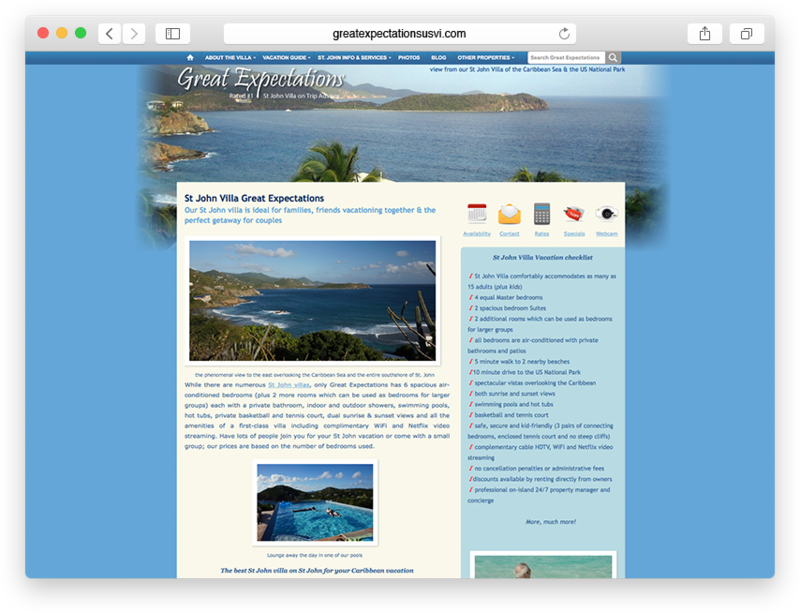 This post assumes you are already using AO, and therefore have room rates setup. To modify room rates for the system overall, navigate to Room Rates then click Set Nightly Rates. It seems to make sense to name the rates the same as the amount per night. Once you have all of your rates created and color-coded, you can use the calendar on the bottom to assign specific rates to rooms across a set of dates. First, click a colored rate from the top list that you want to apply to a room for a set of dates. Notice the “Active Value” shows that rate in the lower calendar area. 1 Rate for 1 room over the calendar view: click on the grey rectangle to the right of a specific room name and you will populate the entire displayed calendar with the active rate, for the entire month. With a little bit of planning and rate creation (including defaults, holidays, weekends, etc) before hand, you can quickly populate a year or more of your calendar and be up and running in minutes! Don’t forget to APPLY THE CHANGES before navigating away from the Set Nightly Rates page or you will lose all the hard work. you need to navigate Reservation Management, Reservation Form Settings, then to General Settings. Scroll down the the Travel Information section and find Room Choice. “Display 1st room choice drop down box on reservation form?” is selected. “Make 1st room choice required?” is selected. “Display 2nd room choice drop down box on reservation form?” is NOT selected. “Make 1st room choice required?” is NOT selected. If you don’t choose only one room choice, the form will have no way of calculating rates against the chosen room. Now that you have rates published against rooms over dates, the Reservation Request Form is now a pseudo-online-booking form. The room names are listed in a drop-down on the form and rates for the chosen days are displayed. When the visitor clicks the “Enter Contact & Payment Info” button, the customer information page now displays a ‘sub total’ that is based on the number of nights stayed against the rate. Caveat: while this is by no means the actual price the customer will be paying, it is a base rate that hopefully gets the visitor one step closer to actually booking. If the majority of your rates are standard, and holidays are the exceptions, we would recommend setting up the default rates first, applying them across your entire calendar and then returning back to implement special/holiday rates. Don’t forget, if you don’t have rates in for specific dates, the guest will not be able to see/calculate them. Since you have to login to AO to retrieve data from reservation requests securely AND guests have been known to plan vacations a year in advance, we would recommend adding in inventory and rates at least a year out, while already logged in to review requests. The enhancements improve AO to be even more like an online booking engine. Not only will your visitor be less daunted by the old single, long reservation request form, but they will also be able to actually be guided by minimum stay requirements AND see a sub totaled cost of the reservation based on your room rates. While this is by no means a complete Internet Booking Engine like Inntopia, for those of you who demand a first-look what is NOT available and what IS available calendar, AO’s enhanced reservations setup is an improvement. So, you’ve now made your online availability calendar and reservation request form work a lot better than it used to. Your visitors can now actually get an idea of how much it might cost, while in the availability calendar, without having to flip between your website and the chart. Since you are most likely using an Availability Onlineare connection or button from your public website, why not go the extra mile – not only make the visitor feel like the calendar is part of your site, but also track their usage with Google Analytics? If you aren’t tracking visitor usage with Google Analytics, maybe you should consider it. It’s not only a very powerful tool to help determine how your website is functioning, how the visitor uses it, where the visitor comes from not to mention whether they are doing what you want them too. AO Reservation Completed: track visitors making it through the entire booking process from search results to reservation form, to contact data to reviewing the reservation request and submitting. First, to properly track pages on another domain (availabilityonline.com) as if the visitor were still on your site, you have to implement a cross-domain tracking solution. This involves not only modifying the analytics code on your existing site but also on the availabilityonline.com pages. Now, right-click and COPY this code snippet to your computer’s clipboard. Make sure this code exists on every page of your website, above the closing head tag! Now, within the Availability Online Administration, navigate to Calendar Management > Visual Settings > Traditional Calendar Display. We use the Custom HTML Header to manually layout the AO page styles that match our client’s site, so we paste in the GA script snippet into the </head > of the pages. Verify that the code snippet is in your AO pages by navigating to Quick Links > Preview Search & Display. You will see a listing of your rooms, hopefully formatted to match the look and feel of your site. In your browser, right-click View Source to see the source code of the page. You should see the GA snippet. Hint: This is a peek at even more options available to you for your site in the new AO! The final step in setting up cross-domain tracking is to use a method that exists in the GA script to send the visitor from your domain to availalityonline.com without losing the existing source data. This is CRUCIAL to proper tracking, and while it requires modification of links on both your site and the AO pages that mimic your site – trust us, having original source/medium data tracked all the way through your site to the final reservation confirmation is the MOST IMPORTANT reason to use Google Analytics. When using Google Analytics across two top-level domains (yours and AOs), each website link FROM one domain TO the other must call the ‘_link’ method to send the visitor between both domains. This means links from yourdomain.com to availabilityonline.com AND links from your custom look on AO back to yourdomain.com have to properly call ‘_link’ to retain the GA cookie data and treat the secondary domain as if it were page(s) on your own site. In GA, navigate to the Property that corresponds to the that ru You can use any of the goal slots for this, but it is easiest if you keep the lodging goals together in a common GoalSet. Creating additional profiles to track ALL data and/or segment specific traffic. Once setup properly, the informative visitor data can be used to track external campaigns/links from emails, banner ads, membership sites, etc. and start figuring out which traffic is valuable (and spend more on it), and what traffic is not (and improve it or stop spending)! If you aren’t familiar with Advanced Google Analytics implementations, want help setting up, testing, reporting or implementing solutions, contact us at VickeryHill and get started accurately tracking visitors.